1) Doesn’t talk of a “Manchu way” distort the true historical record? 2) Doesn’t the New Qing History overlook the effects of Sinicization? 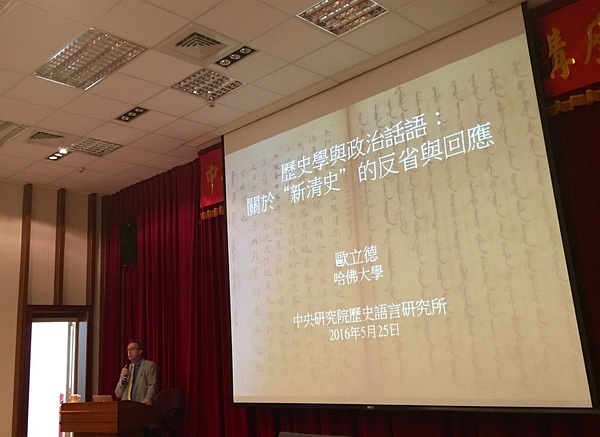 3) How much are non-Chinese -language sources really being used in this scholarship? Aren’t Chinese-language sources important, too? 4) Is there anything really “new” about the New Qing History? 歐立德認為，我們現在要開始考量，「新清史」是否已經開始造成了一種典範的轉移（Paradigm Shift)。現如今，無論是百度百科或是維基百科，都已經開始有「新清史」的條目，豆瓣上也有「新清史」的小組，「新清史」is already a THING.